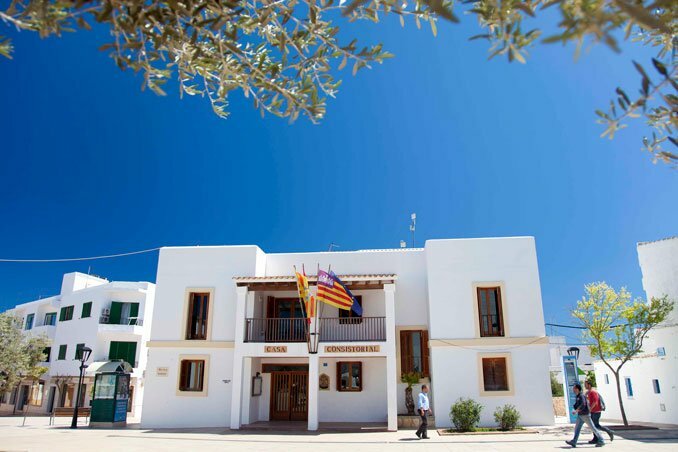 The historical record of government institutions Formentera is rather short. Still, we must go back to the first quarter of the nineteenth century to find the birth of the City of Formentera, created in August 1822 by the Provincial Government as one of the rural municipalities of the Balearic Islands. In 1837 he defined a municipal division of the Balearic Islands in six municipalities, one of which corresponded to the entire island of Formentera. But the precarious nature of the production system of the nineteenth century entailed a significant degree of poverty, aggravated by frequent droughts that harvests dwindled further. Poverty, coupled with the dispersion of the population in any part of the territory, resulting in the inability to maintain minimal administrative activity, so that the State Government decided to abolish the council Formentera request of the County Council in November 1869. Thus, the island was again under the municipal administration of Ibiza. It was not until April 1888 that he turned to return the City of Formentera. The birth of the Consell Insular de Formentera itself is fairly recent, as it takes place within the first decade of the century. The Organic Law 1 / 2007 of 28 February, to reform the Statute of Autonomy of the Balearic Islands, envisaged the creation of an Island Council for the island itself. Its application, therefore, was materialized on July 10, 2007, with the inauguration of the first corporation established by the elections held in June of that year and the full assumption of responsibilities by the institution first day January 2008.